80 Radetzky chairs and 41 Pastis and Porto tables have been used to furnish Voce, a new versatile and multi-functional space – gourmet restaurant, cafeteria and bookshop – in Piazza della Scala in Milan, within the museum Galleria d’Italia of Intesa Sanpaolo. The result of a major architectural renovation carried out by Intesa Sanpaolo’s Real Estate and Logistics Department, and entirely in keeping with the new trends of the major Italian and international museums, VòCE represents a new concept in wine and food culture: a place – for having fun and meeting friends – that merges physically into the museum. In charge of the kitchens Alessandro Negrini and Fabio Pisani the starred duo of the historic restaurant Il Luogo by Aimo and Nadia, which has served as an emblem of Milanese cuisine for over 50 years. 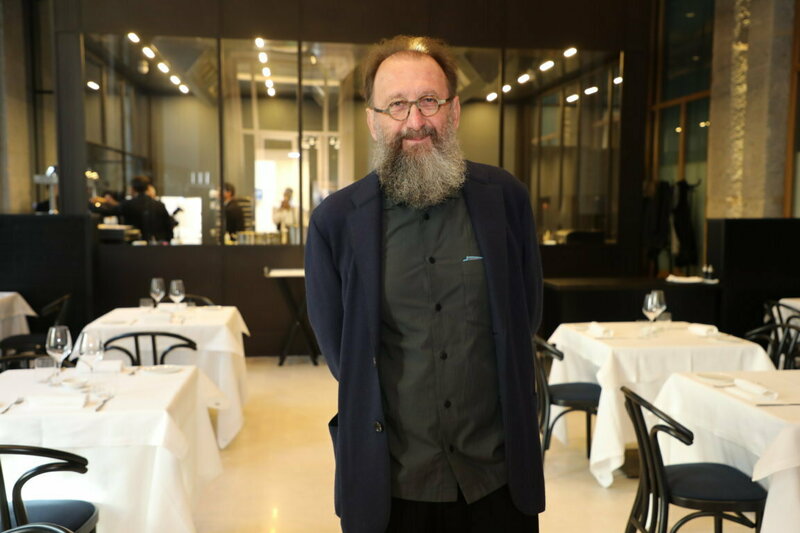 The Architect Michele De Lucchi has signed the layout of the spaces, in which Gebrüder Thonet Vienna GmbH (GTV) furnishings fit gracefully into the twentieth century atmosphere of the rooms facing Via Manzoni, halfway between Viennese coffee shop and French bistro. To distinguish the Radetzky, designed by De Lucchi himself, there’s a solid beech wood structure with curved wooden elements that integrates the design of the rear legs with the back. A profile strongly characterised by the alternation of rounded and straight lines that, with a more formal synthesis, are also to be found in the large plywood seat. Together with Pastis and Porto, contemporary versions of a classic bar table, designed by Gebrüder Thonet Vienna Gmbh (GTV), these functional and versatile items are simply perfect for creating more refined furnishings supply, without sacrificing a sophisticated notion of elegance.